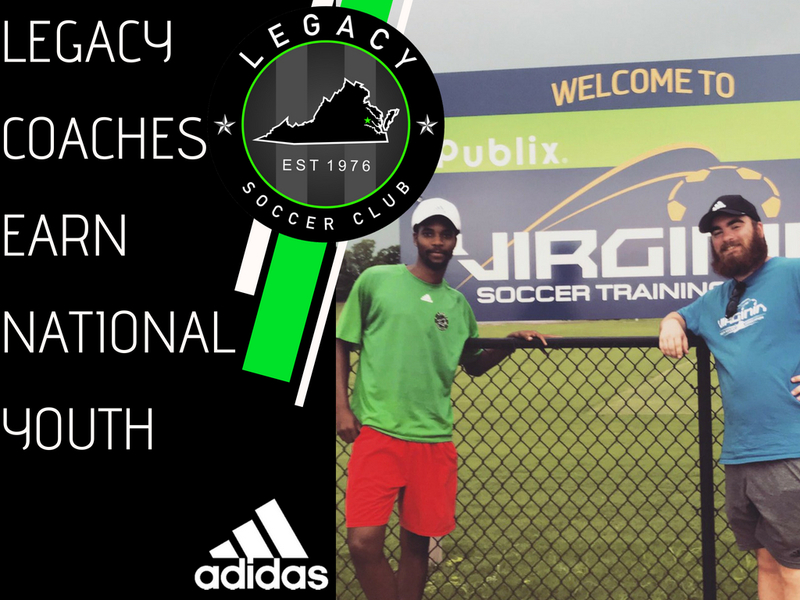 The Virginia Legacy would like to congratulate two of its coaches/staff on recently completing the 6 day US Soccer National Youth Coaching License! The National Youth Coaching Course is designed to provide club directors of coaching, youth coaches, physical education teachers, and soccer administrators with the knowledge to successfully structure soccer environments for children aged 4-12. Congratulations again Phil and Kendal on your committment to the game of soccer and being the best coach you can be for the kids of Virginia Legacy!